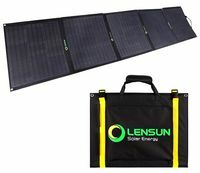 Lensun ETFE 200W, 12V Ultralight Folding Solar Panel With MC4 Connectors. The Ideal Way to Power Everyday Lifestyle Needs; Blogging, Photography, Camping, Vans, RVs, Motorhomes, Caravans, Boats, Yachts, Cabins, and Sporting Events. 1. 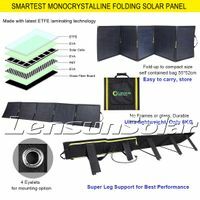 Fold-up to compact size self contained bag 646 x 560 x 5.5 mm, only 1/2 of normal aluminum frame folding panels. 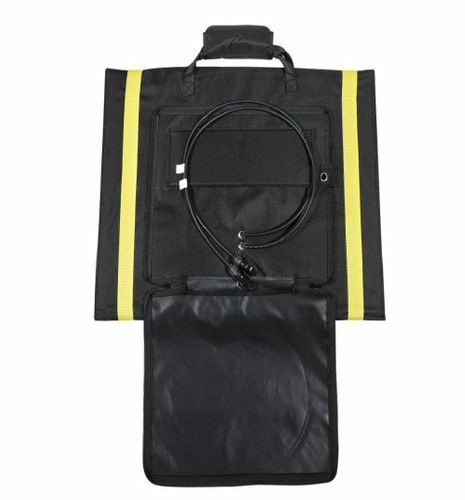 High quality waterproof canvas for weather-resistant outdoor durability. 2. 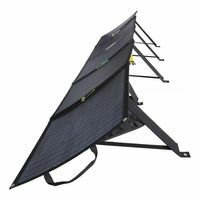 No frames or glass, Durable, Ultra-lightweight, Only 8 kgs, only 1/5 of normal aluminium frame folding solar panels. 3. Easy to set up, easy to carry and easy to store so that it can be used anytime and anywhere.